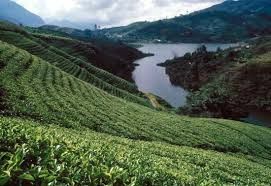 Namunukula Plantations PLC engages in the cultivation, manufacture, processing, and sale of black tea, rubber, coconut, oil palm, cinnamon, and other crops in Sri Lanka. It has a land base of approximately 7,400 hectares. The company was founded in 1992 and is based in Maharagama, Sri Lanka. Namunukula Plantations PLC is a subsidiary of RPC Plantation Management Services (Pvt) Ltd.